1. 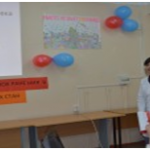 Presentation about the department’s activity with showing slides performed by senior teacher, responsible for department studies Sadykova A.A.
2. Mini-performances on Shakespeare’s works and fragments on the themes of optional lessons were shown. І. Кафедра оқу ісі меңгерушісі, аға оқыт. А.А. Садыкова ұсынған кафедра шығармашылығы туралы слайдтар түрінде презентация. ІІ. Шекспирдің шығармашылығы бойынша және факультативтік сабақтар тақырыптары бойынша шағын қойылымдар көрсетілді. I. Презентация о деятельности кафедры с показом слайдов, представленная завучем кафедры, ст.преп. Садыковой А.А. II. Показаны мини-спектакли по произведениям Шекспира и мини сценки по темам факультативных занятий. 21.02.2012г. факультет «Менеджмент в здравоохранении и фармации» провел ярмарку элективных дисциплин для студентов 1-3 курсов специальностей «Сестринское дело» и «Менеджмент». Ярмарку посетили 91,7 % студентов факультета. Была представлена 31 дисциплина по выбору. Деканат выражает благодарность руководству Университета, всем преподавателям за помощь в проведении мероприятия. Department of foreign languages was founded in 1934. Kenesbayev Smet Kenesbayevich after graduating from the Leningrad oriental institute on specialty “Linguist-ethnographer” was the first to head the department of foreign languages. At different years there worked the following heads of this department as: Kurmangaliyev G.I. (1938-1940), Pogrebinskaya T.I. (1940-1950), Shvedova Ye.G. (1951-1966), Kurmanov M.Sh. (1966-1974), Issayeva R.F. (1974-1975), Issabekova Sh.I. (1976-1987), Abdygapparova S.K. (1987-1995), Kesheleva K.T. (1995-1998). From 1998y. by the decision of the university Academic council the department of Russian language with a course of common theoretic disciplines and department of foreign languages with a course of Latin language were united into one department . Tlegenova S.Ye. was appointed a head of this department (1998-2006). Nowadays the department is headed by Suleimenova Oran Yakhmetovna, an excellent worker of RK Public Health, Candidate of pedagogical sciences, assistant professor, a member of RK association of German teachers. At the department the students of the 1st and 2nd courses of all faculties, and also mastership students and residents are taught English and German languages. 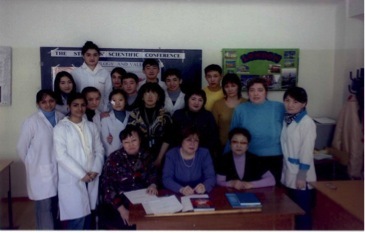 Many experienced teachers as assistant professor Suleimenova O.Ya., senior teachers Sadykova A.A., Sagantayeva S.Kh., Biktasheva G.M., Yelenova A.K., Lozenko I.V. 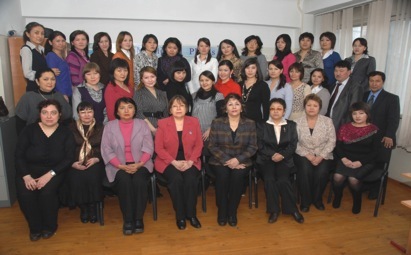 , Unasbayeva G.A., Mezgilbayeva Z.M., Bayanbayeva A.A., teachers Ultanbekova Z.T., Kaibaldiyeva B.M., Bizhanova A.A. and others who give the students all their knowledge, work at the department. The teachers of the department take part in the methodic, scientific research and educational work. 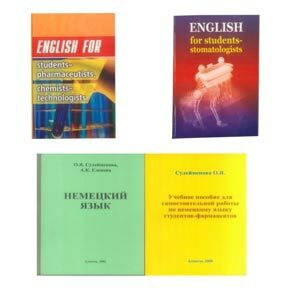 There were edited the Standard program on foreign languages for the students of High medical schools, a methodic textbook on German phonetics for medical students, a German textbook for the 1st year medical students studying in Russian and Kazakh, an English textbook for students-stomatologists, an English textbook for students-pharmaceutists and chemists-technologists, a textbook for students-pharmaceutists on self-studying German language. The great interest both as for students and teachers have meetings with famous scientists – doctors, interesting people, representatives of different educational programmes such as fund “Soros — Kazakhstan”, management of Gete Institute, training, holding by professor from Keniya on the problems of AIDS, meeting with representatives of the American embassy on the problems of studying abroad, managers of international programmes “Bolashak”, representatives of educational programme in Germany DAAD, with scholars from Canada, America, Japan studying on President’s programme. The participants of meetings made their speeches in the English and German languages. Special interest and motivation to learning foreign languages at students have optional lessons holding in the forms of debates, discussions, trainings: “New generation of medical students”, “New educational programmes”, “The Leader of the 21st century”, “Learning official and international languages”. Country studying aspect is a compulsory component of all types of out of class activity. Contests: “Do you know Great Britain?”, “Traditions and customs of English and German speaking countries”, “Do you know about German speaking countries?”, “Deutsch im Herzen” – these activities are planning as organic continuation of classes and practical realization of given skills and habits at lessons on foreign languages. The demonstrative optional lessons “Famous universities of Europe”, “Welcome to Great Britain” about history of famous European universities of Oxford, Cambridge and Sorbon are carried out at the department. There is a tradition on the department of holding literary soirees in the English and German languages: “Thinker poet-writer-playwright-F. Shiller and Gete”, “World legends”, “Symbolism of O. Wilde’s creative work”, “Romanticism in J.G. Byron’s creative work”, contests of songs in English, German, French, Japanese, Turkish and other languages. All activities of educational character are of great importance, they are held in state and foreign languages, contribute to the enlargement of students’ outlook, develop their creative abilities and raise their interest for learning foreign languages. There is a tendency to organization of new types of educational work, such as discussions, debates, briefings, trainings, intellectual games. There was worked out EMCD on SCSE-2006 for the students of the 1st, 2nd courses of all faculties to introduce the credit educational technologies. 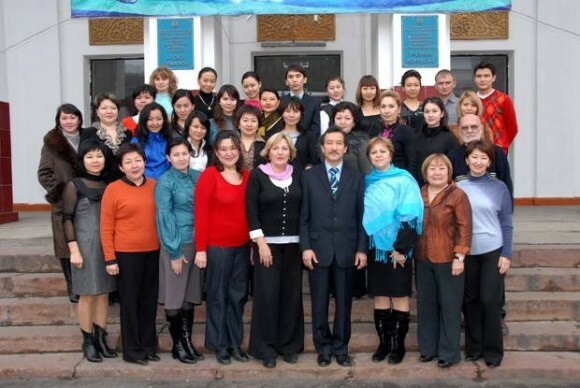 Every year the teachers improve their qualification on methods of foreign languages teaching and innovative technologies.at the Institute of quality improvement of Kazakh university of international relations and world languages named after Al-Farabi. 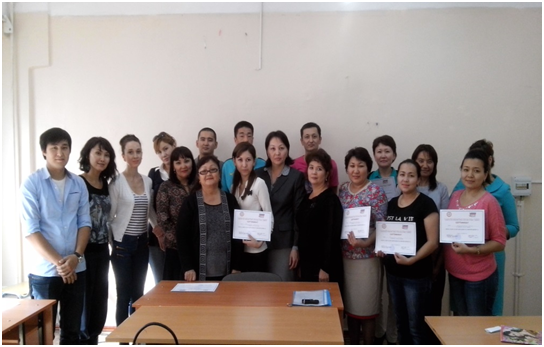 All teachers improved their specialization on information technology, psychology, Kazakh language on the base of KazNMU. 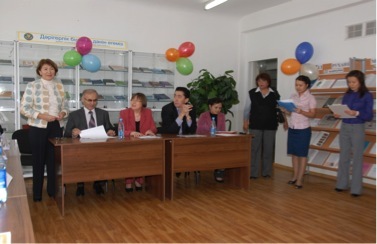 The teachers of the department carry out numerous scientific-research works. For the last three years more than 670 scientific articles were published on methods of foreign language teaching in medical high schools. The teachers of the chair take an active participation in the work of International and Republican conferences of KazNMU, KazSACA. Participants of SSC translate scientific article, reviews, annotations, summaries and etc. together with their teachers. Students have prepared more than 40 reports in foreign languages under the guidance of their teachers. Popularization of healthy mode of life. Optional lessons under the title:”Meнің елім-Менің жерім», «Ана тілің-арың бұл»,”My motherland is Kazakhstan” are conducted for the popularization of state language. Within the framework of KazNMU three languages teaching program of the University Olympiad “Tілдарын” is traditionally carried out in order to develop language competence in students, increase their interest and motivation for learning Kazakh, Russian and foreign languages. 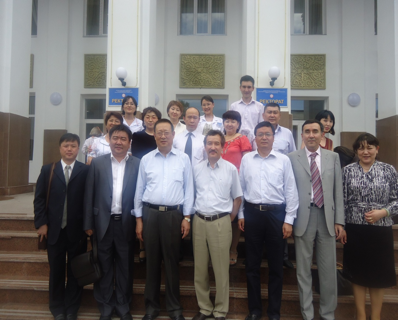 Department of «Economics in Public Health» was as organized at the Department of the «History of Kazakhstan, culture and economic theory» and acts as an independent chair of the Faculty, «Health Care Management and Pharmacy» in 2007. 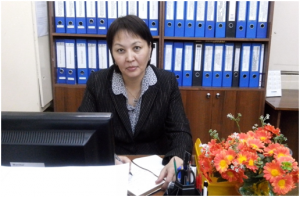 The first head of the department is associate professor, Ph.D. Alshynbay Aynur Muhtarovna. The faculty of the department includes a doctorate in economics, three candidates of economic sciences, 3 assistant professors and 5 lecturers. Many of the younger members of the department to improve the professional skills taught in graduate and are working on master’s thesis. Since 2009, the chair of the candidate of economic sciences Sadyrov Gani Aueskhanovich — professional qualifications, teaching of more than 100 years. on the basis of higher education (distance learning) — 2 years. on the base of higher education (by очноес application of the controlled from distance technologies of educating) — 2 years. Graduate of Bachelor in specialty 5В050700 — Management is assigned an academic degree — Bachelor of Management. Areas of professional activity of graduates in this specialty (Bachelor of Management) are the real sector of the economy, health and pharmaceutical, financial, banking, business and entrepreneurship. — Coordinating and supervising all aspects of activity management. Department of «Health Policy and Management,» a section of the «Law» that was in the structure of the department «philosophy, political science, sociology, and the foundations of law» has been transferred to the department «Management and Marketing in health care and pharmacy». 2009-2010 academic — 169 persons. The department is about thirty subjects (Base of marketing and management, Theory and Practice of Management, Financial Management, Production Management, Marketing, social regulation, Administrative Law, Business Law, Business Organization, Human Resource Management, etc.). Department developed EMCD, programs and guidelines for the implementation of projects and dissertations, the passage of the training, production practices. Printed textbook for the course «Financial Management» in the Kazakh language (10 pp). «Administrative process and management on sisterly business» on the Kazakh and Russian languages (19 pp). Teachers leadership by the department of educational and work experience of graduates and diploma works. 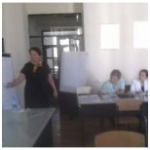 The head of the department «Management and marketing in health care and pharmacy with the basics right,» Ph.D. Maukenova Altynay Amanbaevna, Director of Studies department Avgambaeva Nagima Nurseitovna. 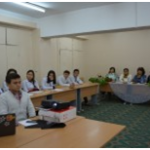 Teaching staff of the department «Management and marketing in health care and pharmacy with the basics » consists of 10 teachers, including 2 pluralist from leading Institutions of higher learning of Almaty, from them: Ph.D., PhD, Associate Professor – 1, senior teachers – 1, teachers — 2. Ostepenennyh staff of the department is 55%. In the official language lessons are 8 teachers (72,3%), including 4 teachers have a degree. The average age is 48 years of PPS. — Production of manuals on legal subjects in the national language . 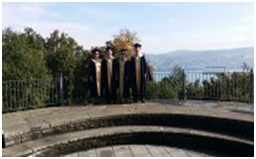 Department of » Management and marketing in health care and pharmacy » provides teachers leaving the program of academic mobility (PhD, Sadvakasova AB in September 2014 traveled for 2 weeks in g. Tsyurih , Switzerland, in the business shkolu SBS ) . 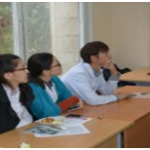 From 11 to 13 September 2014 were conducted lectures with foreign specialists of visiting professors Kanushinoy Marina A. 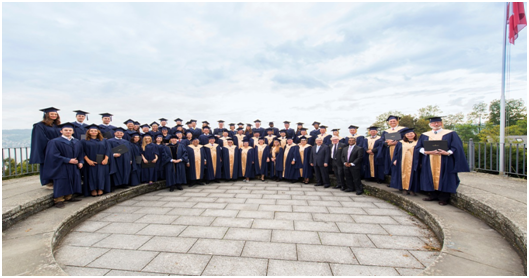 (Czech Republic, Prague Charles University, InstituteofInternationalEducation) on the course: «Management and Marketing in the health system » According completion of the hearing of the course were awarded certificates to students . The department carries out innitsiativnaya scientific work on the theme » Modern management in the context of globalization in the Republic of Kazakhstan .» Staff of the department annually participates in the national and international scientific conferences held by universities in Kazakhstan. Since the beginning of 2014-2015 Account. in conjunction with the students published scientific articles : Features management zdravoohraneniiBapakova A.A.stud Single 2kursa , Ph.D. , associate professor Dzhampeisova KK, Ph.D., associate professor MaukenovaA.A . 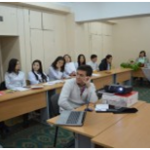 ; Implementation of Risk Management in medical organizations — an essential aspect of quality of care; Abdukarimova GB . , PhD . , Associate Professor Hadjieva AB, AA Maukenova . ; Organization of personnel work in the medical organizatsiiZhumadіl OS, TuregeldievaM.B . , PhD . , Associate Professor Nurpeisov L.S.KazNMU them . Asfendiyarov YSD . 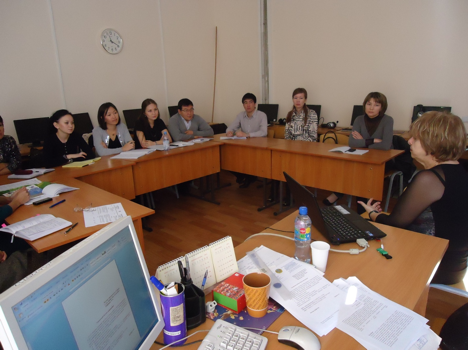 ; Development of marketing kazahstaneKunzhan N.U.3 course specials. Management KazNMU them . Asfendiyarov S.D.Bayzahanov AA Associate Professor LG Sataeva . 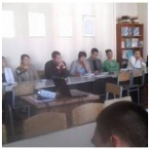 ; Problems of development of Kazakhstan’s health at the present etapeMadanovaM.Zh.studentka 2 course specials. Management KazNMU them . S.D.Asfendiyarovak.e.n . , Associate Professor Hadjieva , Art. teacher Avgambaeva NN . ; Strategic management organization of family medicine in a PMSPNamazbaeva JE , spec. Management KazNMU them . 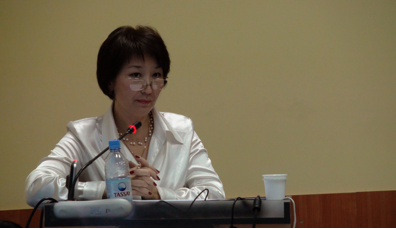 S.D.AsfendiyarovaAvgambaeva NN, Alshembaeva LT ; Weaknesses in Kazakhstan -NauryzbaevaAsel Medicine , Art — ka2kursa , special -ty «Management» KazNMU them . 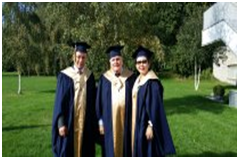 Asfendiyarov Ph.D., associate professor Dzhampeisova KK, Ph.D., associate professor Nurpeisov LS . 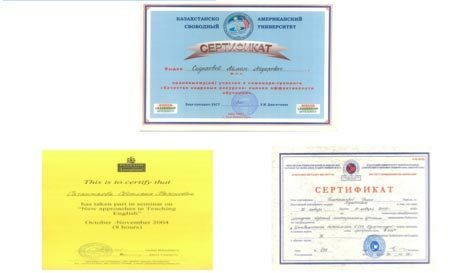 ; The quality management system in the test laboratoriiOrdabay MJ , 1st year student KazNMU name S.A.Asfendiyarovak.e.n . , Associate Professor Nurpeisov LS, Ph.D., associate professor Dzhampeisova KK . ; Modern problems of health development in the Republic of KazahstanOrshubekova AA, student 2 course specials. MenedzhmentKazNMU them . S.D.Asfendiyarovak.e.n . , Associate Professor Dzhampeisova KK, Ph.D., associate professor Nurpeisov LS . ; State regulation of zdravoohraneniyaOrshubekova AA, student 2 course specials. MenedzhmentKazNMU them . S.D.Asfendiyarovak.e.n . 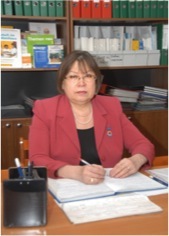 , Associate Professor Dzhampeisova KK, Ph.D., associate professor of management Nurpeisov L.S.Stili organizatsiiOrysbaeva AS , a student 1kursa KazNMU name S.A.Asfendiyarovak.e .N , associate professor Maukenova AA, Art. teacher Avgambaeva NN . ; Medical management: characteristics and development Ten NA , Ph.D. , associate professor Hadjieva AB, AA Maukenova KazNMU them . Asfendiyarov S.D.Marketingovaya activities in the health sector . Improvement of leasing activity in zdravoohraneniiTuregeldieva MB, Zhұmadіl OS, PhD . 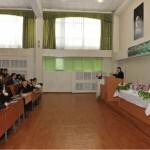 , Associate Professor Hadjieva A.B.KazNMU them . Asfendiyarov SD. Under the guidance of teachers of the department students 5V050700 specialty — «Management» successfully participate in student conferences . Since the creation of the Department of PPS systematically improve qualification , which is confirmed by certificates. In the period from 22 October 2014 to 4th November 2014 to conduct a training program on » Economics and management of social institutions ( health and education » will be held lectures and workshops of the candidate of economic sciences, associate professor of the Russian State Vocational pedagogical University Chuchkalova E.I. The research work of students ( NIRS ) is an important aspect of the formation of a future scientist and specialist qualifications. In this regard , the department » Management and marketing in health care and pharmacy» KazNMU them . SD Asfendiyarov valid scientific student circle «Manager 2015» in which students have the opportunity not only to acquire knowledge and high professional qualifications , but also to develop their intellectual abilities and leadership qualities . Scientific student group allows the student to begin full scientific work , to find like-minded people on it , which you can consult and share the fruits of their research. For student participation in the annual Republican competition NIRS drafted and approved the list of the NIRS , which were distributed among the students — members of the group . A detailed advice on writing research work . In general , by the staff of the department were given recommendations to plan and stage major events subsequent work on the topic . In January 2014 held the first ( Cathedral ) tour of the Republican contest NIRS University and February — 2nd (university ) tour . The head of the NSC Nurpeisov LS held a presentation and brought to the student members of the group information , that as not worked in this circle. As part of the presentation, the students learned that these materials provide them with an opportunity how to write an article . 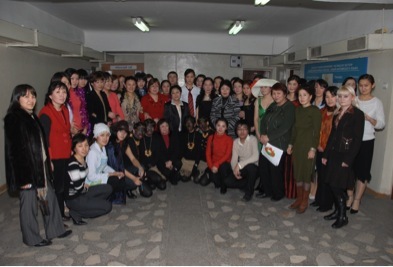 In December 2013 held a discussion meeting of members of the NSC , dedicated to the World AIDS Day . Members of the NSC Soltanova M and A Gayratzhan prepared a report on the subject. 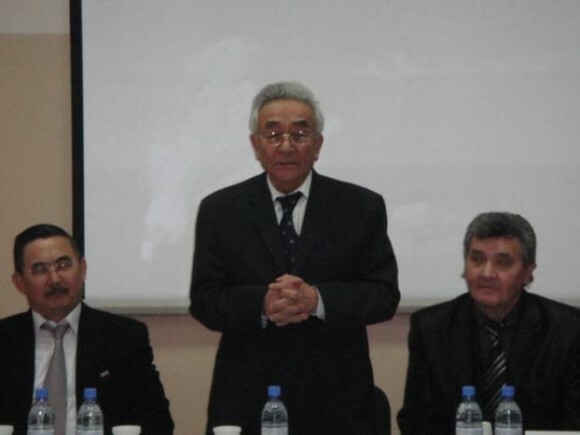 In December 2014 , members of the circle NSC held a seminar — debate on the topic: «The Message of President Nursultan Nazarbayev » Strategy «Kazakhstan -2050 » : a new policy established state «. The event was attended by staff of the department . In their speeches, all the speakers emphasized the importance of the message of the President , the achievements in socio-political , socio-economic , cultural and humanitarian development of Kazakhstan , focused on interfaith and interethnic stability . Faculty and student staff of the department are actively involved in social and cultural- mass work, participate in the annual event » Posvyashenie in university students » and others . PPP department conduct training courses in «Management» for teachers . The Department conducts professional orientation work among graduates of city schools . During the round table were presented and discussed reports of 2nd year students of the Faculty of Public Health on the themes: Report on the theme : «Problems of health financing » Ongarova D., Zhumanbaeva D., «Improving the quality of medical care » Abduganiuly R. Mukatov T » . , The problem of drug supply patients with socially significant diseases » — Kapanova A. » Problems of the introduction of new medical technologies in medicine » -Kalieva J. , a report on : Tuberculosis — Nietova Z., a report on the topic of HIV infection and AIDS — Jamalova G.
There was a discussion of basic submission: Students prepared a poster №1 on » Tuberculosis» Hayrosheva J. , №2 poster on the topic of AIDS Kobzhasarova A. In the preparation and conduct of the round table took an active part the following teachers : Sataeva LG, Nurpeisov LS, Avgambaeva NN, Dzhampeisova GK, Tulebayev JC, Maukenova AA et al. 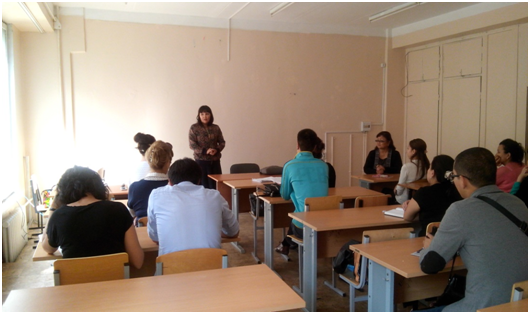 During the round table was presented to the students sketch » social unit «, dealing with the problems of drug abuse in Kazakhstan society . During the round table was held active discussion papers by students together with teachers of the department . They discussed the main issues public health problem in Kazakhstan , as well as problems of the disabled , children, orphans. Қазақстан тарихы, философия, саясаттану, әлеуметтану кафедрасы- С.Ж.Асфендияров атындағы ҚазҰМУ-дың негізгі кафедраларының бірі. Ол 1931 жылы марксизм-ленинизм кафедрасы ретінде құрылған. Алғашқы кафедра меңгерушісі проф№ С.Жапарулы Асфендияров болды. 2003 жылдың қыркүйек айында әлеуметтік-гуманитарлық пәндер кафедрасы 2 кафедраға : философия, саясаттану, әлеуметтану және құқық негіздері кафедрасы және Қазақстан тарихы, мәдениеттану, экономика теориясы кафедрасы болып бөлінді. Ал 2009 жылдан бастап Қазақстан тарихы, мәдениеттану кафедрасымен біріктірілді. Қазіргі уақытта кафедрада философия,саясаттану, әлеуметтану, Қазақстан тарихы, мәдениеттану пәндері жүргізіледі және «Әлеуметтік жұмыс», «Медицина социологиясы», «Саяси менеджмент», «Саясаттану негіздері» пәндерінен элективтік курстары дайындалып , оқытылуда. 2003 жылдын бастап философия, саясаттану, әлеуметтану кафедрасын доц.Бисембаева З.У. баскарып келеді. 2009-2010 жылы Қазақстан тарихы, мәдениеттану, философия, саясаттану, әлеуметтану кафедрасы болып қайта құрылды. Оның меңгерушісі ф.ғ.к. доцент З.У. Бисембаева. Кафедрада с.ғ.д. профессор К.У.Биекенов, доценттер: с.ғ.к. З.А.Нагайбаева, т.ғ.к. Р.И.Бейсембина, п.ғ.к. Б.Б.Турабекова, т.ғ.к.Ә.Ә.Әбдірасілов, т.ғ.к. К.Ә.Төлентаева, ф.ғ.к.Қ.Т.Анасова, ф.ғ.к. М.А.Джекебаева, ф.ғ.к. А.А.Рыскиева, ага окытушы Ғ.Т.Рсалдина, С.А. Жолдыбаева, Т.Б.Тауекелова, Н.А.Абдразақова, Н.Таттибек, К.Н. Жусупова оқытушылар , С.Ж.Тұрсынбаева, Ж.А.Амантаева, С.М.Илгидаева жумыс жасайды. Кафедра оқытушылары ғылыми, педагогикалық, тәрбиелік және қоғамдық жұмыстарға белсене қатысады.